Your garden is ready for gardening. Now, what do you do? Grow veggies for the table, of course. Raising your own vegetables is an economic way to bring your family around to a healthier way of eating. Imagine the pride you will feel when your first crop of tomatoes and peppers come in. We’re here to help you get started. So Many to Choose From – Where Do I Start? Disease Resistance – Tomatoes are prone to numerous issues, so read the labels on the plants or seeds before buying. Growth Habit – This means how much space the plant will need to grow. There are two types of plants: Bush (determinant) and Vine (indeterminate). Time to Mature – If you have a short growing season, then you need a variety that will ripen quickly. Look for the number of days the variety takes to mature. Fruit Characteristics – Choose a variety that will best suit your needs – do you want slicing tomatoes? Do you plan to can or preserve them? Determinate or bush tomatoes grow two to three feet in height. When they set fruit, they allow it to flourish before sending out more growth. They have a short growth cycle. These varieties work great for container gardens, but if you do plant them in a raised bed or regular garden make sure to mulch with plastic or straw mulch to keep the plants off the ground. Vine tomatoes are indeterminate varieties. They need lots of room to grow and spread out. Be prepared to support them with cages or ladders because these plants will continue to grow until the first frost. Some of the better known varieties, like Cherry and Beefsteak tomatoes, fall in this category. 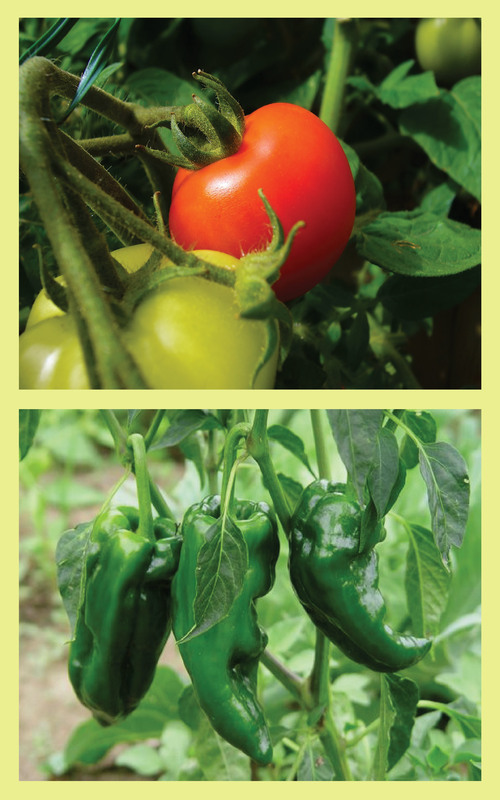 Though peppers are often planted with tomatoes in a garden they have very different needs. Tomatoes can be planted after the last frost, but peppers prefer completely warmed soil, so it is best to wait a while before setting them out. Use black plastic mulch around peppers to help keep the soil warm overnight and to prevent heavy rains from damaging tender seedlings. Peppers have shallow root systems and mulch helps protect them. Like tomatoes, peppers come in all shapes, sizes and colors. They can be sharp flavored like green bell peppers or sweet like Pimentos. You can also find spicy peppers in different heat intensities, but be careful to check their maturity time. Hot peppers need a fairly long time to mature to develop that kick we love so much. Vegetable gardening is a very rewarding endeavor. Not only will you have a plethora of fresh produce for your dinner table, but you can put up an abundant supply in your freezer for those long winter months. Tomatoes and peppers are just the beginning. Soon you will be ready to tackle asparagus and corn in your garden. After all, there’s a little farmer in all of us. You read and research a lot of material on how to start composting and still you are hesitant. “It’s too hard; it costs too much; is it worth it?” are a few of the same excuses you told yourself at the start of your last DIY project. You successfully tackled those challenges and with our help you will master the art of composting as well. Time to get started! Our landfills are running out of room. Twenty-five percent of the garbage in the U.S. is yard trimmings and food scraps. That is nearly 60 million tons of organic materials that we could be turning back into nutrients for our soil. It saves money. Instead of spending funds on manmade compost and fertilizers, making your own is just common sense…and cost-effective, too. It helps you create a healthier, thriving garden by suppressing diseases and pests. It reduces greenhouse gases. Landfills break down anaerobically (without oxygen) which produces methane gas. These emissions are far more toxic than CO2 gases. It reduces the chemicals entering our rivers and lakes as water runs off from the land. It eliminates the toxic elements that are created in landfills that seep into our ground water. If you can expend the energy to gather yard waste in the first place, then you are halfway to composting. Simply deposit the waste into a compost bin or pile and there you have it. 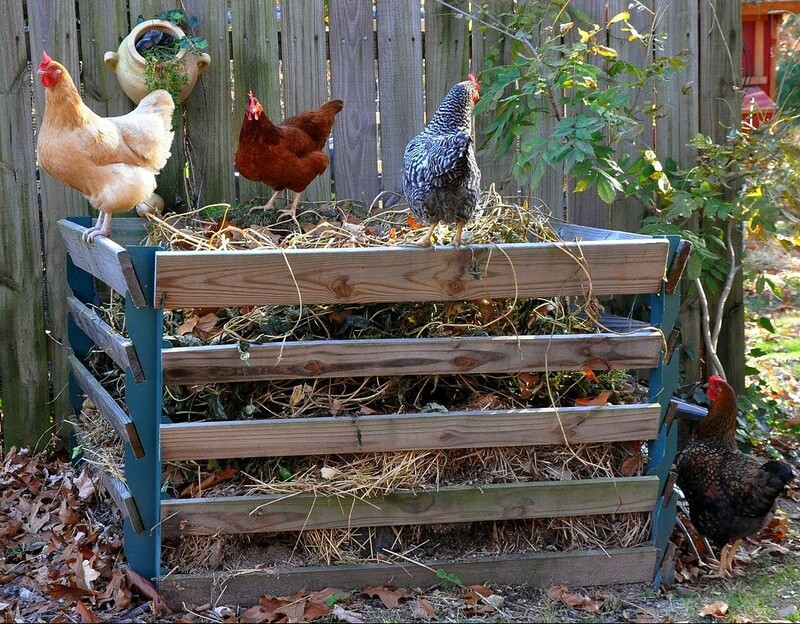 There are plenty of DIY compost bin designs on the internet for you to build. If you’d rather keep it simple – start with a compost pile. Find a semi-shady spot in your yard where the pile will get some sun but won’t dry out. The pile needs to be able to get enough rain to keep it damp but not completely wet. Keep your pile away from the base of trees so that the tree roots will not be affected by the decomposition process of the pile. For more information on composting check out our previous blogs, Go Green: Create a Compost Collection Pile and 10 Good-Sense Tips for Building a Compost Bin. Compost is good for your yard and the environment. Bacteria, bugs, worms and fungi will soon be enjoying the fruits of your labor and helping to break down the waste into usable humus or nutrients for your lawn or garden. 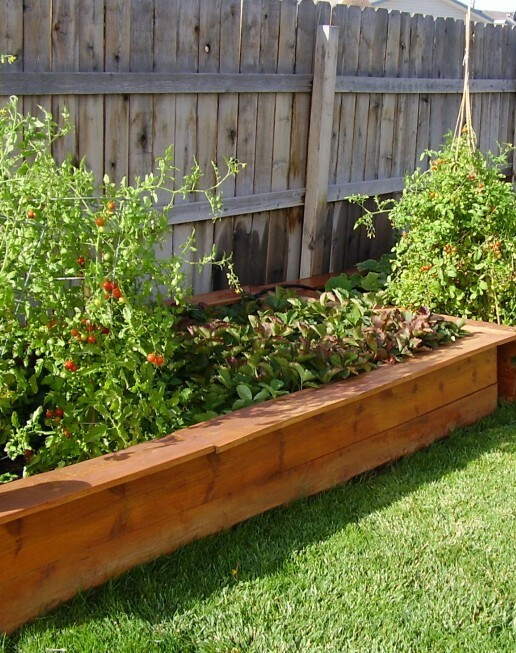 Using compost in your garden helps plants to grow stronger and produce higher yields. It will also help suppress diseases and pests. Still concerned that an open compost pile will give off noxious smells and attract pests? Only compost done wrong stinks. Too much water or not enough air flow through a pile can often be the culprits. Turning your pile regularly with a pitch fork helps break up the clumps of material that may be too wet. Noticing flies buzzing around your pile? They are after the food waste. Always bury your food scraps under a layer of grass clippings or other vegetation. This will also help keep rats and other rodents from being a problem. You can sprinkle lime or calcium over the pile to neutralize odors and help speed up the decomposition. Layering the materials in your compost pile is the best way to start it out on the right foot. Start with a layer of organic material (leaves and grass clippings) followed by animal manures, fertilizers and starters. Finish up with a layer of top soil. Keep layering until you get a good base for your compost pile. You do not need to layer materials after this. Just sit back and let the magic happen. Think of composting as organized garbage removal. Besides being good for the environment and your wallet, it is completely beneficial to the health of your yard and garden. So quit making excuses and get busy composting. You’ll be happy you did. Our expert staff is always on hand to help you with your composting projects. From wheel barrows and shovels to rakes and other landscaping tools, if you have any questions about what to choose, pricing or how-to’s, don’t hesitate to contact us. Stop by our store — we’re open seven days a week. Drill three holes in the container – one a quarter of the way up from the bottom for the main spigot, one at the very bottom as a drain, and one a quarter of the way from the top for an overflow valve. Install spigots on all three with watertight sealant. Detach a section of the downspout from house and replace it with flexible downspout tubing. Secure with screws. Lawn and garden watering makes up close to 40% of total household water use during the hot summer months. By installing a rain barrel you can save up to 1,300 gallons of water. Rainwater is water that is free of chlorine, lime and calcium and is ideal for watering potted plants and gardens, washing cars, and even washing Fido. Think of the money you can save if you didn’t have to turn on the tap outside. Rainwater runoff is a big problem in urban and suburban areas, polluting our waterways with fertilizers, pesticides and other contaminants. Rain barrels play a part in cutting down on the runoff problem. By installing a rain barrel you can redirect water away from your foundation and at the same time cut down on your water bill. Rainwater helps to stabilize the PH levels in the soil, therefore cutting down on the need for fertilizers. Make sure wherever you decide to place the rain barrel that the ground is level to avoid it tipping over once it is full. If you treat your roof for pests, unhook the rain barrel for a couple weeks to avoid contaminating your barrel. Use round barrels rather than square containers because corners can crack from water pressure. Make sure your garden hose fits the spigots. Garden hoses do not follow standard plumbing pipe thread sizes so you may need an adapter. If you live in a cold climate, you will need to disconnect the rain barrel, drain it and store it over the winter. Don’t forget to re-attach the old downspout. You may be eligible for a rebate on your rain barrel from your local water company so check their website for information. Constructing a rain barrel is an easy do-it-yourself project as long as you follow a few guidelines. You may find that you use your rain barrel so often that you want to add several more. 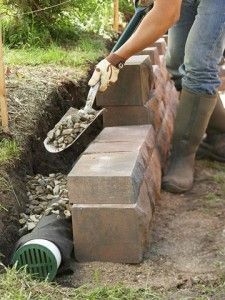 Think of all the outdoor projects you can accomplish without ever having to turn on your outdoor faucet! 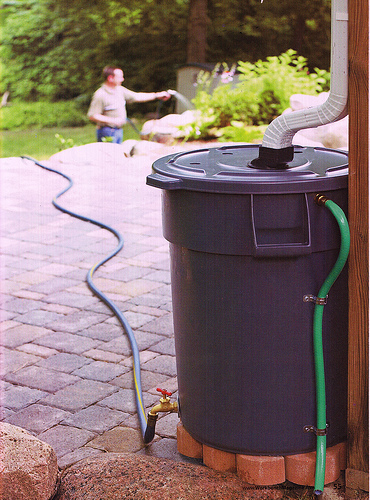 A rain barrel is a smart investment that pays off in big ways. 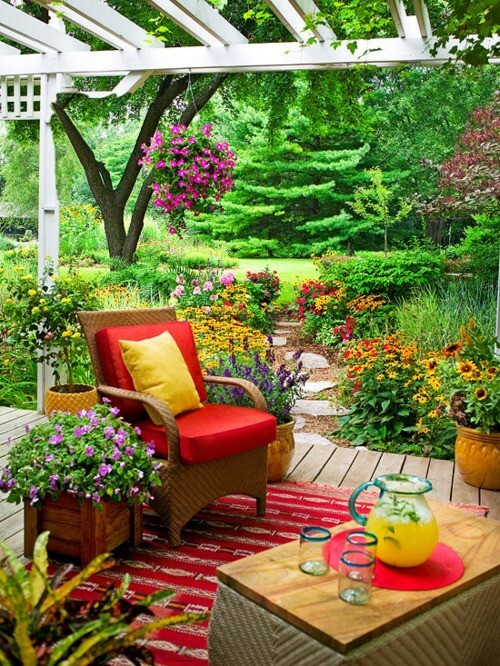 Our expert staff is always on hand to help you with your yard and garden projects. From ladders and wheel barrows to shovels, if you have any questions about what to choose, pricing or how-to’s, don’t hesitate to contact us. Stop by our store — we’re open seven days a week. Discovering that hordes of insects have made your garden their next buffet lunch can cause anyone to reach for the most toxic chemical repellant out there, just to get rid of ’em – fast. Before you decide to race off to your local garden center though, take a minute and look into using a non-chemical approach for controlling critters. Keeping poison out of your yard will help keep pests away from you and the ones you love. Non-chemical pest control methods have advantages over standard chemical pest control. They are generally effective for longer periods of time versus chemicals. Not to mention, they cost less. Pests do not build up immunity to non-chemical treatments the way they do manmade chemicals. Natural pest control has fewer restrictions since they are safe for humans and the environment. There are two basic categories of non-chemical pest control – biological and manual treatments. Parasitoids – These are miniature wasps that lay their eggs inside the pest. When the young are born they kill the host insect. Microscopic Pathogens – These are fungi, bacteria and viruses like milky spore disease, which attacks Japanese Beetles. Many of these can be found commercially. Biochemical pesticides – These include pheromones that lure insects into traps and juvenile hormones, which interfere with the insect’s normal growth and reproductive functions. Not every bug has to die. There are actually some insects out there that are beneficial for your garden. If you use chemical pesticides you run the risk of killing off the good bugs as well as the bad. Here are a few friendly critters that you may want to welcome into your garden. If you are just overrun with pests and need something to stem the tide, there are plenty of non-toxic remedies you can buy or make yourself. One of the best is called Diatomaceous earth (food grade). It is a chalky power made from the fossilized remains of Diatoms, which is a type of hard shelled algae. This multi-purposed talc prevents everything from earwigs, slugs and other soft bodied pests to fleas, ants and cockroaches. Just sprinkle it around the edge of your garden or lawn (anywhere the insects will crawl through it) and the pests will pick up the dust and die. Warning: You can even use it to treat Fido for fleas! The Environmental Protection Agency (EPA) has found that homeowners actually use about three times the amount of chemical pesticides in their yards and gardens than farmers. That’s a scary statistic when you consider that the water runoff from homes in your neighborhood may wind up in your drinking water. What is the best way to rid your garden or lawn of pests? The best defense is a good offense. Start with a healthy garden or lawn. Pull out weak plants – They may be infected or can attract pests. Build up healthy organic soil – Top dressing your soil with compost or natural fertilizer will help develop strong plants. Use seaweed mulch or spray – Seaweed contains trace elements of iron, zinc and sulfur, which will enhance growth. It also repels some insects. Get rid of debris – Minimize insect habitat. Interplant and rotate crops – Insects usually like certain plants. Planting in different areas of your yard each season will keep pests from coming back and spreading. Keep foliage dry – Water early so foliage can dry. Wet plants encourage fungi growth and insect damage. 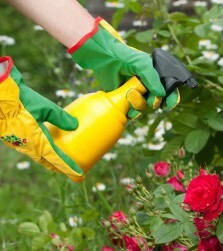 Disinfect – If you’ve been working with infected plants, clean tools before moving to another area of garden. Our expert staff is always on hand to help you with your yard and garden projects. From landscaping tools to mulch, if you have any questions about what to choose, pricing or how-to’s, don’t hesitate to contact us. Stop by our store — we’re open seven days a week.